Against all odds. Over the years, that’s been a powerful mantra whenever I’ve faced overwhelming obstacles and my own small-minded thinking. Instead of dwelling on the problems that could hold me back, I’d repeat this mantra to remind myself that I’ve overcome the odds before, and I can do it again. This simple maxim has helped me start and maintain my own successful writing business and find inspiring places to live—from a small farm in the North Georgia mountains to a townhouse in the suburbs of Washington D.C., to my rental home in Sebastopol. These days, that mantra is getting a workout as I explore housing options in Sonoma County, where the median sales price of a home in June, 2015 was $545,000 (up 11% in one year), and a new lease for a one-bedroom apartment, according to the National Association of Realtors, averages $2,287, an increase of more than 30% during the past three years. Two bedroom rentals average $3,100. And that is, if you can find an apartment or house, given the 97.2% occupancy rate of current inventory. One landlord recently shared that an ad he placed on craigslist generated 150 e-mails within a few hours. To put these prices in perspective, the median household income in Sonoma County is now about $62,000. Using the standard formula of 30% of pre-tax income for rent, these households would be able to pay about $1,550 per month in rent—just two-thirds the average asking price for a one bedroom. And “average household income” factors in many dual income homes. For singles and retirees, $1,550 is a big stretch. Although some County renters have leases that they can afford, when these leases expire, many face sharp increases to the new “market” rents. It is no wonder that I, like thousands of other county residents, now worry that I am being priced out of the County where I love to live. Another consequence is that moderate income renters who might otherwise want to move or retire to Sonoma County are forced to find housing elsewhere. Meanwhile, purchasing homes is even less attainable for average income buyers. Homes historically have sold for 2.6 times the median household income in any given area. That would mean about $160,000 in Sonoma County, where the average home price has risen to eight times the median income. The scarcity of adequate housing has begun to draw the attention of city and county governments and the media. That’s a start, but as Pete Golis wrote in the Press Democrat, “there’s been an abundance of talk about doing something about affordable housing but local agencies don’t have much to show for it, save plans to do more talking.” Meanwhile, more and more residents are being pushed out of the county as a new real estate bubble creates even higher and stronger barriers to entering the housing market. To be sure, this issue is complex—and lacks a clear vocabulary. For the purposes of this article, I’m honoring the established definition of affordable housing as that for homeless, poor, and senior populations, and accessible housing for disabled residents. While there is overlap, I’m writing here about attainable housing for the squeezed working class and middle class. But even these definitions and demographics are misleading, segmenting the problems—and solutions. Instead, we need to look at the housing problem as everyone’s problem. It affects our local economies, the sustainability of our communities, and even the environment. That list is enough to make even an optimist feel like giving up. Which brings to mind a companion phrase to Against all odds—that is, What if? What if we could coexist with inevitable market fluctuations and bolster our communities at the same time? What if we created attainable housing that strengthened our local economies and reduced our carbon footprint? What if city and county governments lowered permit fees and regulations to allow more creative solutions? Let’s take a closer look at how our neighbors are answering those propositions with creative solutions. What if we encouraged the development of sustainable communities that allow people to divide the expense of buying land, share resources, live more ecologically, and support one another? Cohousing has become a familiar term. From its inception, the mission of cohousing was to create smaller and allegedly more affordable housing through shared facilities and financial burden. But to date, developments such as Two Acre Wood in Sebastopol, Yulupa Cohousing in Santa Rosa, and Frog Song in Cotati are not attainable for many working people or much of the middle class. This year, a 985-square foot, 2-bedroom, 1-bathroom unit in Two Acre Wood listed for $375,000 with association dues of $190/month. Ferrera sees her role as one of service, helping people fulfill their yearning for a place where they belong. “I help people find security through shelter,” she adds. BENEFITS: Studies show that housing communities deliver more than neighborliness. Benefits include reduced carbon footprint, lower crime rates, and fewer foreclosures. In addition, these communities help increase civic engagement, provide greater stability for local shop owners, and increase the tax base for municipalities and the county. What if Sonoma County agencies followed the successful model of nearby Novato in relaxing fees and regulations? That’s why what happened in Novato in January 2015 was so remarkable. The city council approved a new zoning ordinance that created a new class of Accessory Dwelling Units (ADUs), with dramatically lowered permitting requirements. 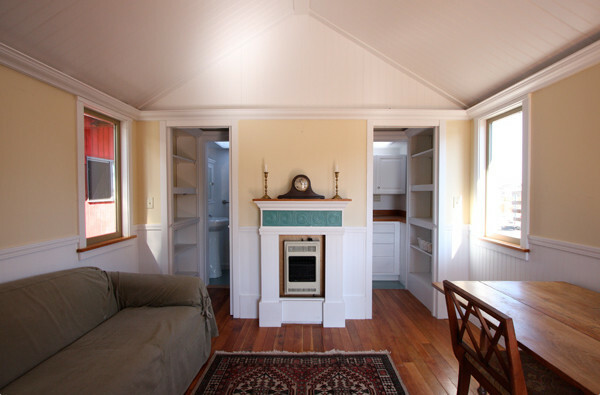 Called Junior Accessory Dwelling Units (JADUs, aka granny or in-law flats and second units), these units are repurposed spaces already attached to an existing home, such as spare bedrooms and garages that can be converted to rental properties. Other relaxed requirements include no need for additional parking spaces or fire sprinkler systems; sewer fees for JADUs were slashed from $8,990 to $40 for JADUs. The North Marin Water District’s $10,000 water connection fee was also eliminated in April. JADUs still require building permit fees, based on the expected project cost. How did they accomplish this? The grassroots effort was organized by Lilypad Flexible Housing Initiative. Residents, homeowners, and advocacy groups for housing, housing, sustainability, and seniors, among others, came together at agency meetings to make these changes reality. BENEFITS: Repurposed garages, shared housing, and second units within existing municipalities can help reduce waste, traffic, and energy consumption—and foster increased use of public transportation. In addition, while the county and cities may lose some revenue from lowered fees, overall revenue collection rises when barriers are lowered and more people build much-needed housing that creates a more stable community. 3. What if we had a new model for mobile home parks? Workers in Sonoma County often cannot find attainable housing near their jobs. Just within the wine industry, for example, approximately 55,000 full-time wine industry workers are mostly living with friends, sleeping in their cars, and/or driving long distances to get to work. If tiny homes seem too small for your needs, manufactured homes, such as those designed by Little House on the Trailer based in Petaluma, American Modern Modular based in Marin, and Healthy Buildings in Napa. Homes range from a one bedroom/one bath, 400-sqare-foot home for $49,999 to a two bedroom/two bath, 800 square-foot home starting at $52,800. But again, the question of where to park them creates a barrier. Several new “mobile home” parks could open up attainable housing far more quickly and sustainably than a massive apartment or condo development. BENEFITS: Economical places (to buy or rent) for people to park attainable housing options such as tiny houses and manufactured homes. Reduced carbon footprint when individuals live closer to downtown services and workers can live closer to jobs. Denser use of land within municipalities to increase sense of community and support of local economy. 4.What if the county made better use of the thousands of acres it owns? 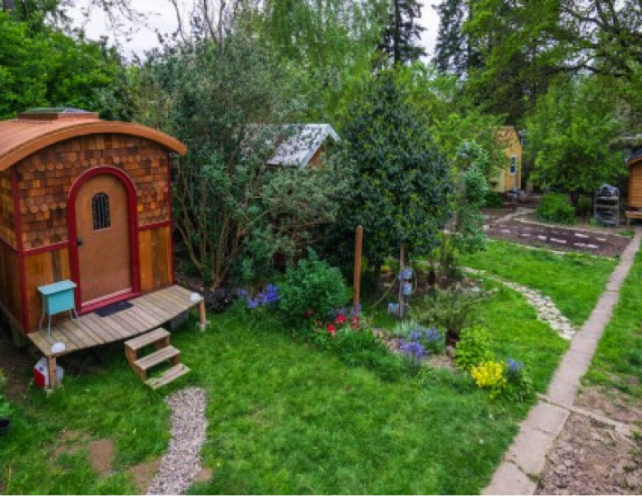 Speaking of tiny homes, the Sonoma County Board of Supervisors recently launched an experiment to create a tiny-home park with 10 homes on county-owned land, similar to Dignity Village in Portland, Oregon. The project is designed to help alleviate the “chronic shortage of shelter for the homeless in the county — a shortfall compounded by the area’s torrid housing market, including skyrocketing rents.” (Press Democrat, July 28, 2015). So, what if the county could offer a similar experiment for other demographics, such as working people and the squeezed middle class? With thousands of acres of undeveloped land owned by the county, this land could become useful and profitable for the county through reasonable rents and/or land taxes. BENEFITS: Stable populations keep local shops open and thriving. School and infrastructure bonds get passed. Sales taxes and the tax base increase. These improvements cost the county little—but help supervisors and councilmembers deliver the housing solutions they give lip service to. What if there was legal help to avoid the inevitable problems that arise with cooperative living? I know firsthand the problems that can arise in communal living. My back-to-the-land experience in the 1970s got off to a shaky start when legal and permit problems booted me off the land. And truth be known, those of us who’d banded together soon started seeing different goals for our community—things we never discussed during the early “wouldn’t it be great?” phase. I was eventually able to buy a small farm, but that didn’t satisfy my desire to live in a community. SELC offers an array of services to help individuals and groups navigate this somewhat new, and still counter-culture, approach to housing. Resources include a free and informative PDF booklet Policies for Shareable Cities: A Policy Primer for Urban Leaders; Orsi’s book, Practicing Law in the Sharing Economy: Helping People Build Cooperatives, Social Enterprise, and Local Sustainable Economies, and a variety of newsletters and updates plus membership and volunteer opportunities. BENEFITS: Access to legal communal arrangements that help avoid problems in the future. Empowerment and information to work with county and cities to exact change in restrictions and rules. What if we joined together to take action and foment changes in fees, regulations, and opportunities? As mentioned earlier, there’s a wide range of communal opportunities, from Cassandra Ferrera’s homestead of two or three families to a larger community such as Tiny Houses Village and Tiny Houses for a Big Change. Another model that’s already attracting a following features approximately 15 houses with a common house and communal garden. In addition, pooled resources and shared tasks keep costs lower (with a barter system for anyone unable to work). The houses may vary in size, from tiny houses to larger houses that include, for example, artists’ studios. Portland’s Tiny House Community, profiled in the video below, is pioneering such a vision. To that end, Lewis is attracting a group of like-minded folks interested in forming a nonprofit and developing a business plan, an important step that many of these communities skipped in the past. In addition, they want to work together to foment change within county governments. For example, they plan to ask the county for a tax abatement on improvements (though they’d continue to pay taxes on the actual property) and access a county program that offers low-interest loans around 3% to 4% for houses and other improvements. BENEFIT: Attainable, collective housing developed faster and more economically and ecologically than commercial developments. Reduced carbon footprint, increased tax base, and improved local economy. As part of a community effort to discuss housing solutions, a new Facebook page has been formed here called “Solving Sonoma County’s Housing Crisis.” Anyone interested is invited to join, share and express. 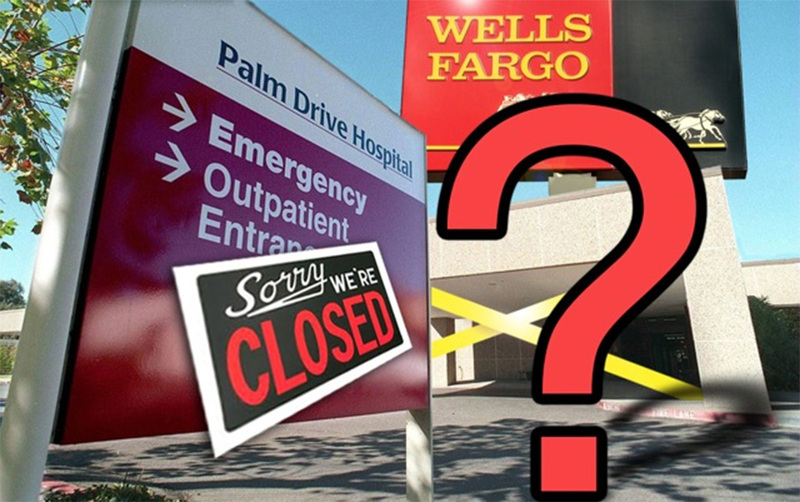 Update February 25: An excellent new series launched this week from a great Southern California based public interest journalism website called Capital and Main. They are looking at the statewide affordable housing crisis in a series this week. This story notes that by eliminating the state Redevelopment agency, a $1 billion annual stream of state money to help build affordable housing has disappeared in California, just when rising costs are pushing the economics of affordable housing over the edge. Let’s move from reading pixels to rallying public pressure on decision-makers to turn this vision of possibility into reality. Thanks, Gina. And yes, please keep in touch through our Facebook group to help us create change. I have been studying sites in Marin and Sonoma counties for the least 4-5 years, looking for a financially viable site for a cohousing project (I’m a development consultant). The biggest obstacles are cost of the land, zoning regulations, and people’s attitudes about density (more than 3 stories – horror!). Density is needed to make a project work yet density is a bad word, even among folks who want sustainability. Density IS the sustainable way to build! Counties need to step up and get more creative in their zoning regulations, design guidelines, and processes to make density housing more attainable. Thank you for your expert comment, Linda. Density and changes in government regulations are part of the conversation–and action–we want to develop. We hope you will connect with our Facebook group and continue to contribute your expertise. Linda – Hi! I wonder that, along with density (3 stories! ), if expansive areas for communal gardening, even a little private gardening space, community room, child play areas (like Two Acre Woods has) and laundry areas separate from living areas (individual homes/condos) might make the 3 story issue a bit more interesting. It takes more land but it keeps people together and more community minded. I remember when Michael and Alexandra were planning Two Acre Woods and how they really wanted 10 acres to build on but couldn’t find it within the city limits and how upsetting that was. They had to settle for the much smaller piece of property. What needs to happen, and many people have tried for about 30 years now, is that the County needs to majorly up-date and modernize their land use rules to allow development and building on county private land, not just within city boundaries. Allowing for the development of say a 12 acre parcel with its own large septic system, well, etc. so that more than one home and a granny unit can be built would be key to making a truly vibrant and affordable housing up-date. Lynda – thanks for the great article. Thanks, Suzie. Please keep your ideas coming! Hi Suzi! – Yes, any project I would propose would have as much outdoor space as possible, given the limitations of the site, and common space as it couldn’t be cohousing without it. It’s all about what makes the project financially feasible (ie – how many units are needed). If you can go up, then that allows for more outdoor available space. Parking regulations are another issue that have a negative impact on projects. We studied a site in Fairfax and half the property had to go to parking, limiting any outdoor gardens. We’re currently looking at a property that’s already entitled with a lot of land in Sonoma Co – stay tuned…. Thank you for pointing me in the right direction! I want to be part of the Attainable Housing movement, it’s a necessity for keeping Sonoma County, specifically Sebastopol for me, a vital community! We need more long range thinking going on around here…. Hi Kristin, So glad you accessed the article and found some good resources. We hope you’ll continue to stay in touch. We can make changes happen–especially if our numbers grow. I’m still out of town, but you can access the Facebook link in some of the other comments replies. Great article, I’m in. What’s next? Thanks, Daniel. So glad you’re in! Please join our Facebook group where we hope to build a strong group with creative ideas. See link in the article and other comments below–sorry, I’m out of town at the moment and can’t create the link here. But I wanted to respond and say thanks ASAP. Looking forward to hearing your ideas! Thank you for the excellent article Lynda. You have opened my eyes to a bigger picture and solutions to this issue that I had not pondered. I was recently given 60 days notice to vacate my house due to it being put on the market. I am one of the lucky ones that was able to find a rental within a reasonable time although not with what I would consider a reasonable rent. Thanks, Karen, for sharing your situation, which is all too common in our county. As you talk with people in similar situations (or those who are concerned about this issue), I hope you’ll mention our article and our Facebook group. We believe we can make change happen–with enough of us banding together and working toward solutions. Thanks again!